This is a darling design by NobbieNeezKids. 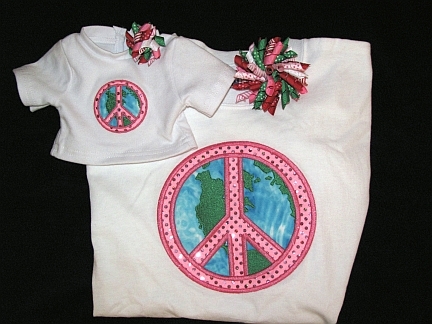 It features an appliqued sequin peace sign in hot pink on a white shirt. Your favorite girl will love this matching set! You will receive one doll shirt & one girl shirt. Girl shirt available in Youth small - XL. So cute! Korker bows sold separately. 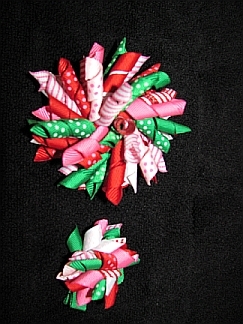 Free shipping on bows when ordered with shirts! 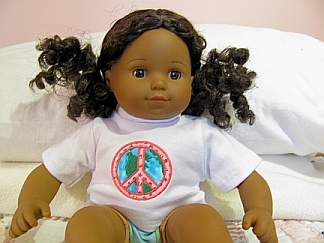 in her World Peace shirt.